Die-hard Nailed It! 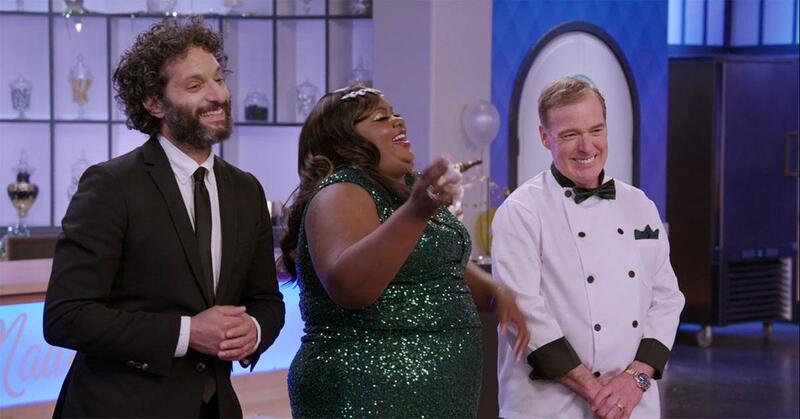 fans are already experts on the reality baking competition's regular judges — comedian Nicole Byer and pastry chef Jacques Torres. However, the Netflix series just released a holiday special featuring more amateur bakers attempting to make Pinterest worthy desserts (and — spoiler alert — failing) with a handful of new and returning judges many viewers aren't familiar with. 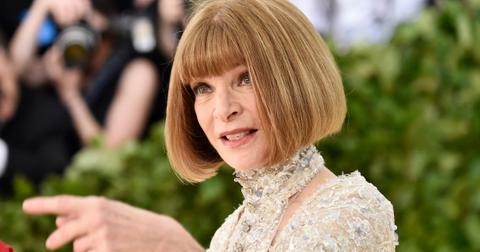 With guest judges ranging from actresses to DIY experts, it's definitely hard to keep track of who is who on the show. 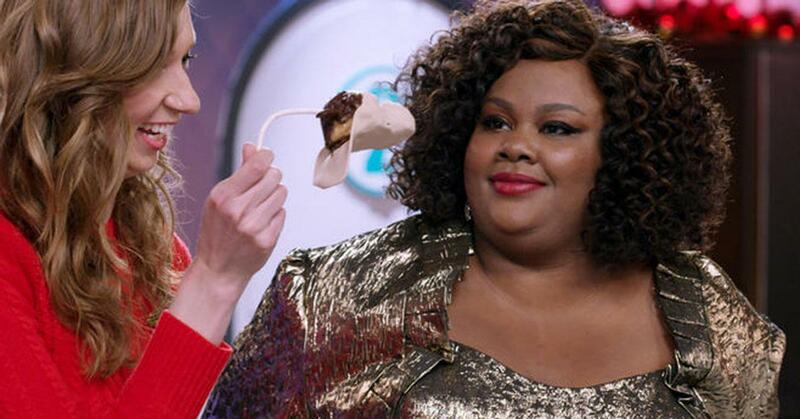 Luckily, we have a breakdown of all the judges who appeared on Nailed It! Holiday! — and where you can follow them on social media. If you are a Netflix aficionado, you might recognize Lauren as Susan from Orange Is the New Black — or for her character Denise on The Big Bang Theory. 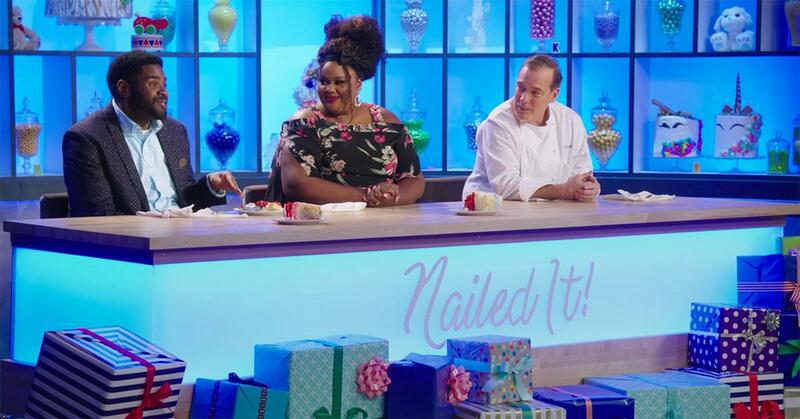 On her episode of Nailed It!, Lauren was asked to judge contestants as they attempted a cake pop challenge and an Upside Down Santa cake. Let's just say the task was hard for her to swallow. Next up for Lauren: she will be appearing in the Will Ferrell comedy, Holmes & Watson. A magician and comedian, Justin is no stranger to baking competitions. Along with being a guest judge, he was also the host of Cupcake Wars on the Food Network — so he's definitely qualified to judge desserts. He also makes frequent appearances on The Ellen Show and has his own Netflix series, Magic for Humans. On his episode of Nailed It!, Justin critiqued a doughnut challenge, and an edible ski scene. 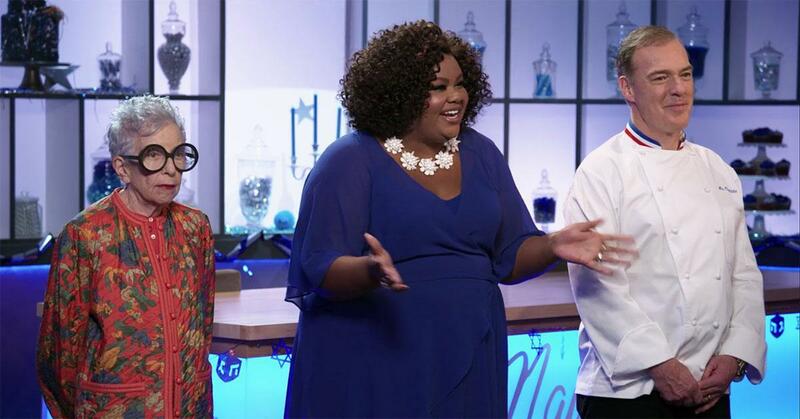 For the Hanukkah themed episode, Sylvia and her iconic black rimmed glasses made their return to Nailed It! The 88-year-old baker did not hold back when it came to judging the bakers' hand-dipped dreidels or their cake made with kosher wine. Fun fact: Sylvia also appeared on a couple episodes of Gossip Girl as herself — "Woman on the Verge" and "Road to Perdition" — which you can stream on Netflix now. A professional chef and baker, Gemma was the perfect pick to appear on Nailed It! Holiday. In her episode, bakers were asked to complete a Rice Krispies challenge followed by a turkey cake. Yep, they had to make a cake in the shape of a turkey. Off-screen, Gemma has her own blog, where she shares her favorite holiday recipes. You might not recognize Ron at first glance — but you'll definitely recognize his voice. Ron played the role of Cooper in the animated movie Trolls, and has appeared in several of the sequels, including, Trolls: The Beat Goes On and Trolls Holiday. The actor and writer appeared in the "Toying Around" episode, where bakers created toy cookies with moveable parts and a metallic robot cake. Ron will continue providing the voice of Cooper in the upcoming, Trolls World Tour movie, alongside Anna Kendrick, Jamie Dornan, Justin Timberlake, and James Corden. 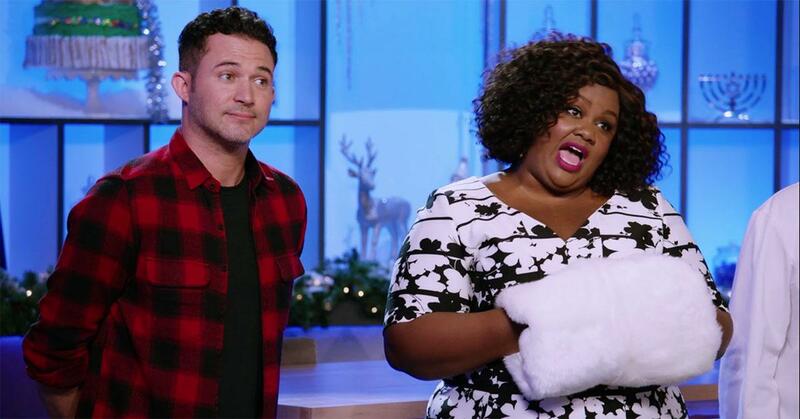 Nicole's longtime friend Jason appeared on Episode 6 of the holiday special, where he judged three Nailed It! 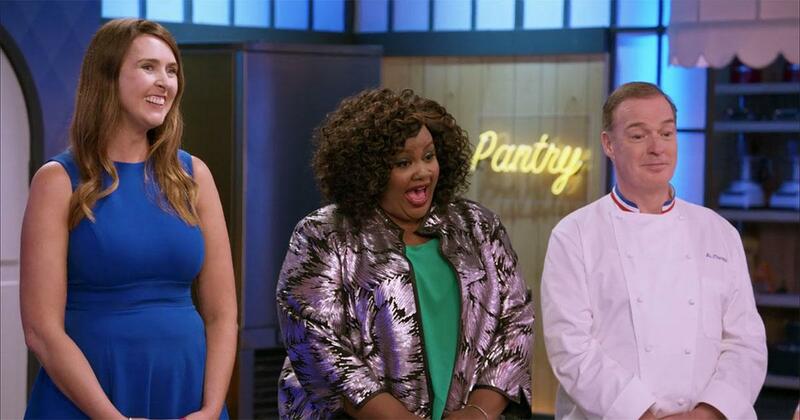 fan favorites – Sal, Tori, and Amanda — who returned to show off their "improved" baking skills. 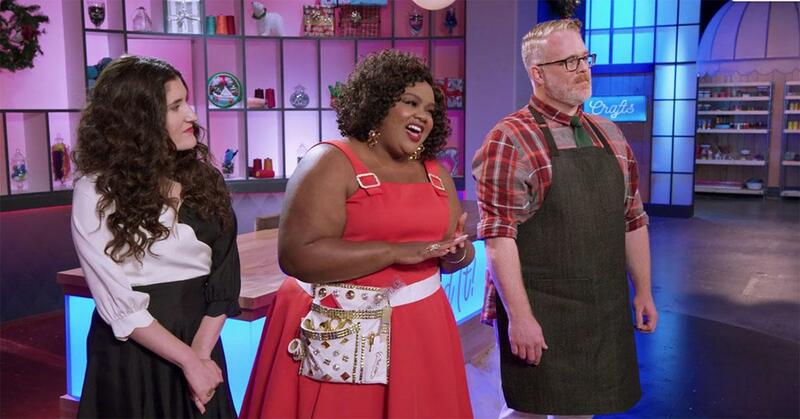 When he's not judging baking competition, you can catch Jason as a frequent guest star on Brooklyn 99, a regular voice actor on the Netflix series, Big Mouth, or the truTV show I'm Sorry. 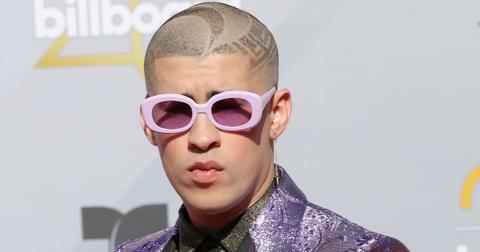 Plus, he will appearing in John Wick: Chapter 3 as the Tick Tock Man, which is set to premiere in 2019. Unfortunately, the comedian is not on social media. On the DIY-themed episode of the holiday special, Nicole was joined by DIY expert Jim Noonan and comedian Kate Berlant (you were missed, Jacques!). 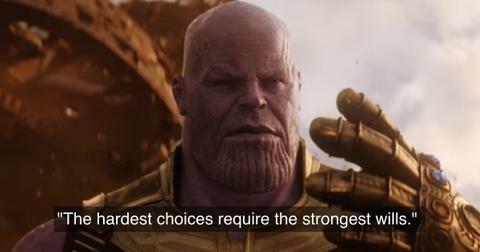 Jim was instantly a favorite among viewers, who requested more episodes starring the hunky craftsman. "Give us more Nailed It! DIY and give us more Jim Noonan! He’s a Christmas treat that I want to enjoy all year long," one fan tweeted before another added, "NailedIt! Holiday gave all us gays an early Christmas present, and his name is Jim Noonan." Unfortunately, Jim is not very active on social media. 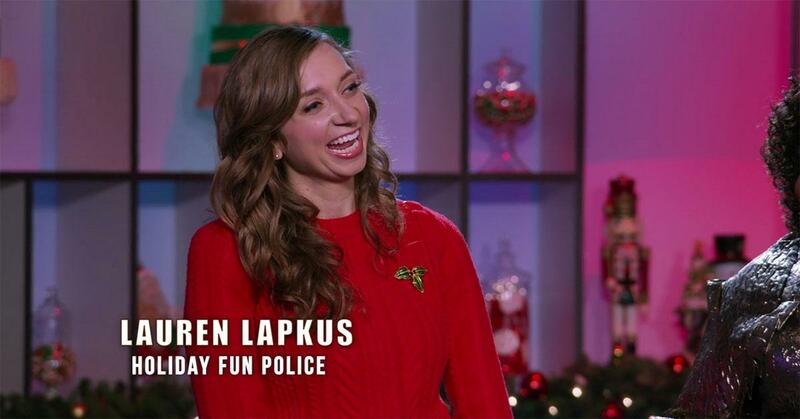 Meanwhile, Kate was also a highlight of the episode, which has contestants create the ugliest ugly Christmas sweaters and a diorama ornament. 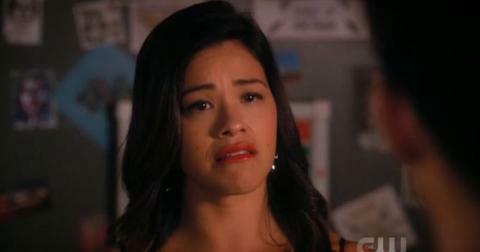 Kate also stars in the TV show, Those Who Can't as Zandra, as well as Linda on Ghosted. What It's Like to Be a Stressed Out Baker on 'The Great British Baking Show"